Here’s a view of the Tenth & College campus pool from a second floor studio apartment at Studio 531. We still have a few studios left for August 2014 move in. 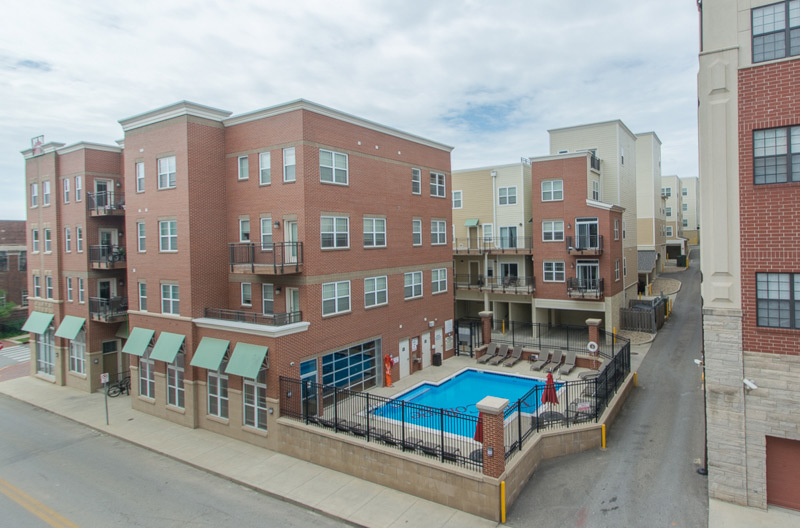 Contact us today and be a part of this brand new apartment complex downtown Bloomington.